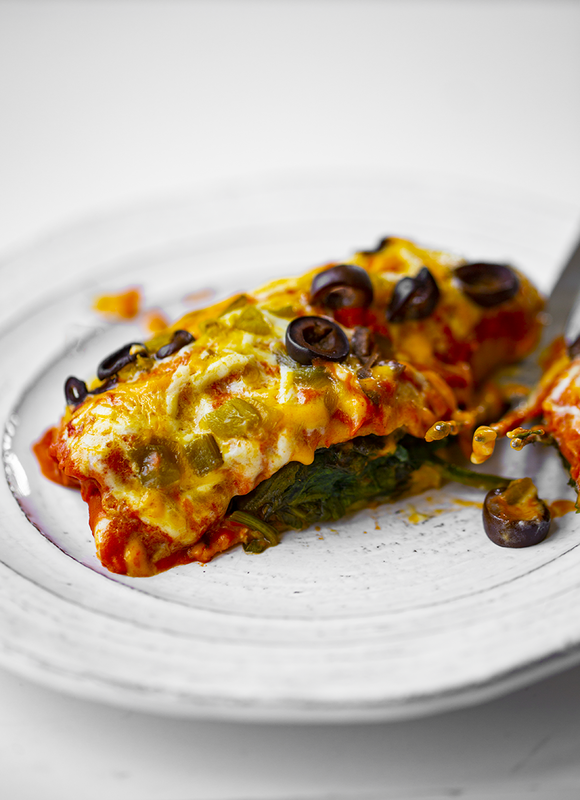 I have posted a lot of enchilada recipes here on the blog over the years, but this is probably the most simple one yet. 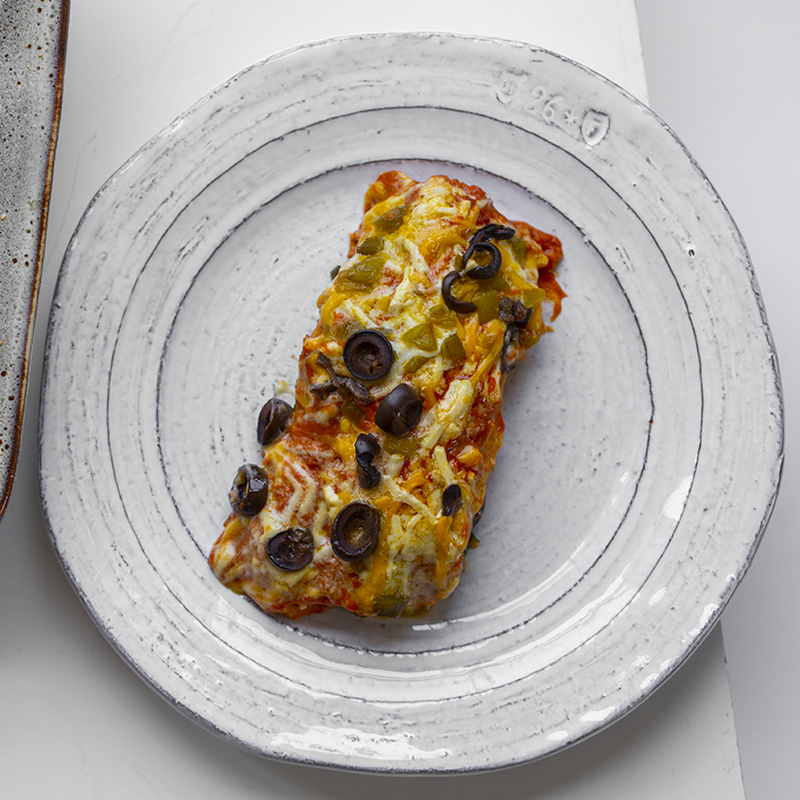 One ingredient enchiladas have a blissful simplicity to them that is very appealing when you have a busy day or just want to plan ahead for dinner for the next few days. Another nice add: avocado or guacamole on the side to serve. Vegan sour cream is also a nice add. More Spinach, please! Spinach is a power veggie for a reason. It is rich in fiber, iron, magnesium, folate, potassium, vitamin A and also contains about 1g per cup. It is tender and easy to eat. And personally, I love the subtle flavor. Be sure to add a few pinches of salt to your wilted spinach to help tone up the flavor. You could even add some crushed garlic. This easy vegan dinner is packed with iron-rich spinach and smoky tomato flavor. homemade sauce makes these even better! 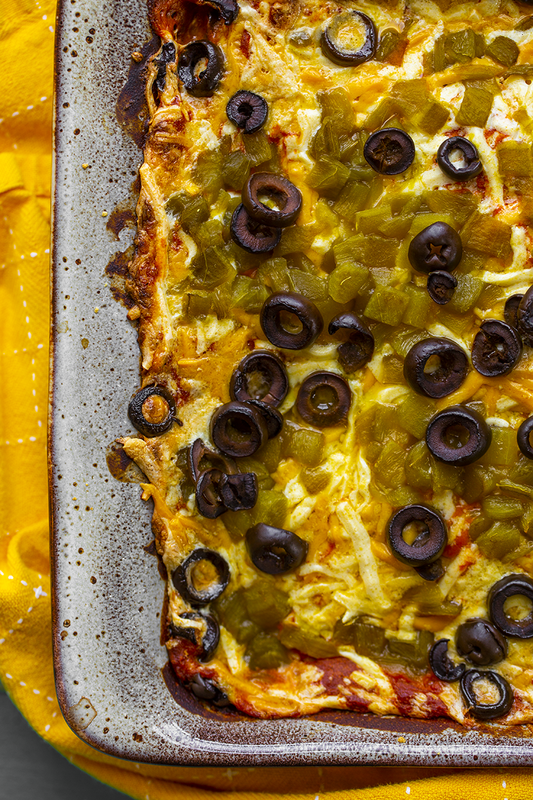 Prepare your homemade enchilada sauce. Double the recipe I have on my blog. Allow that to simmer as you prep everything else. Warm a large skillet or soup pot over high heat. Add a drizzle of olive oil. Add the spinach - as much as you can add without it overflowing. Cover the spinach with a lid and cook until you can see the spinach start to wilt. Turn off the heat - add any remaining spinach and keep lid on until the spinach is nice and wilted - but not too mushy. Remove lid, add a sprinkle of salt and pepper and toss gently. Set aside. 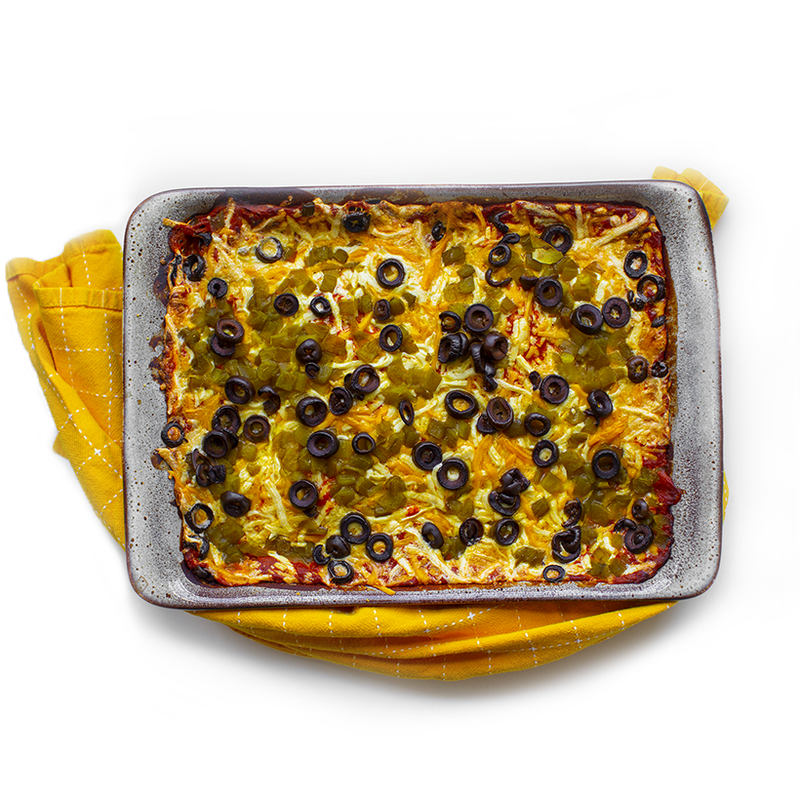 Grab your casserole dish and place two corn tortillas on the bottom as a base layer. Then stuff a tortilla with spinach, curl under and place open side down in the dish. Repeat until all the space is used up in the dish. Optional: If you want to add other ingredients to the tortillas like black beans, refried beans, tofu or other veggies, go for it. But I went with classic spinach today. Pour the sauce over top the stuffed tortillas. 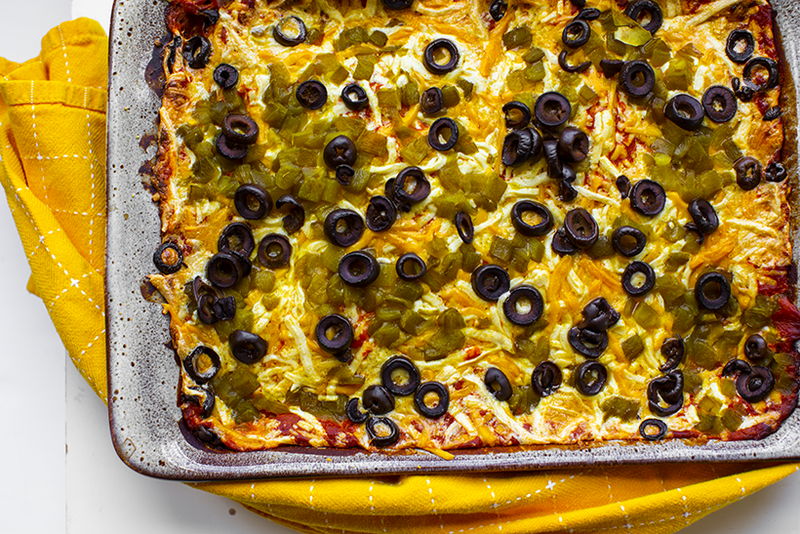 Press gently on the enchiladas to allow the sauce to fill each crevice and marinate the enchiladas. 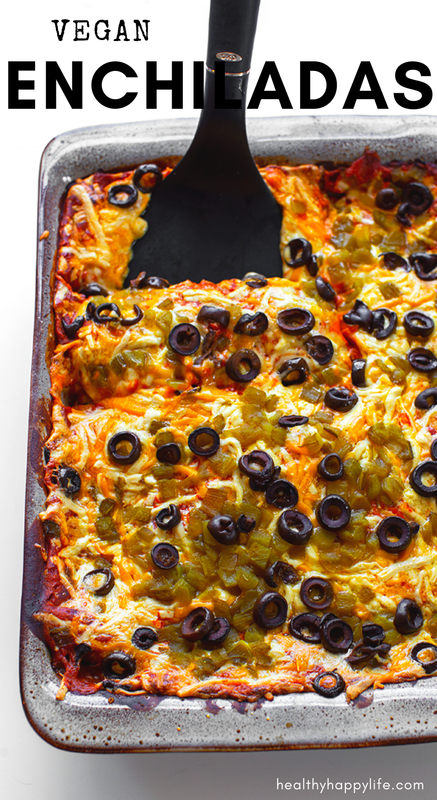 Add the cheese over top, then the chilies and black olives. Cover the dish with foil and bake at 425 degrees for 30 minutes. Then remove the foil and bake for another ten minutes with the top exposed. 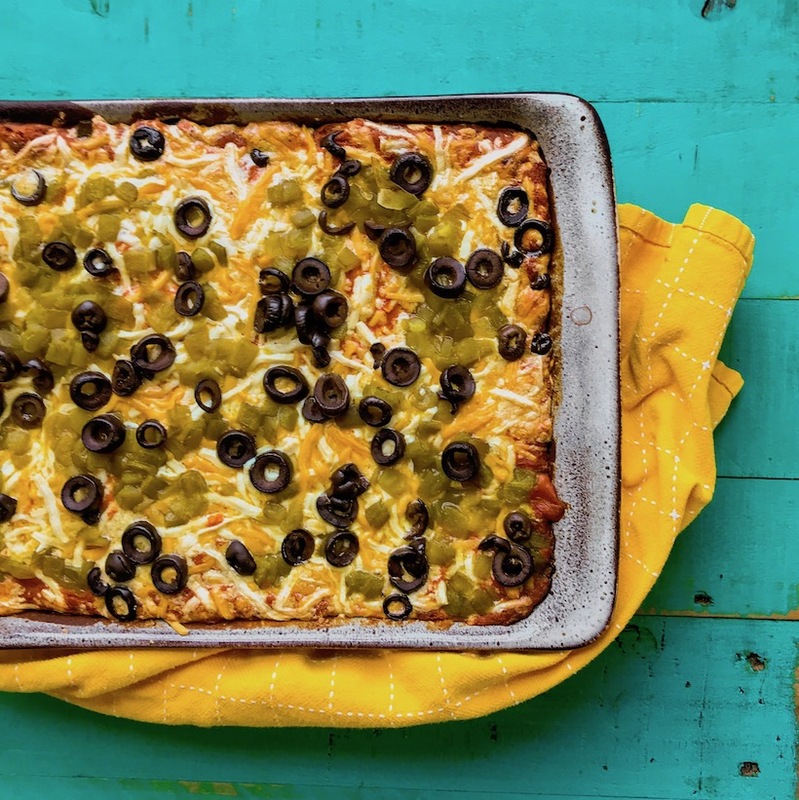 You want the enchiladas to be cheesy, bubbly and browned on the very edges. Allow to cool at least twenty minutes before serving. 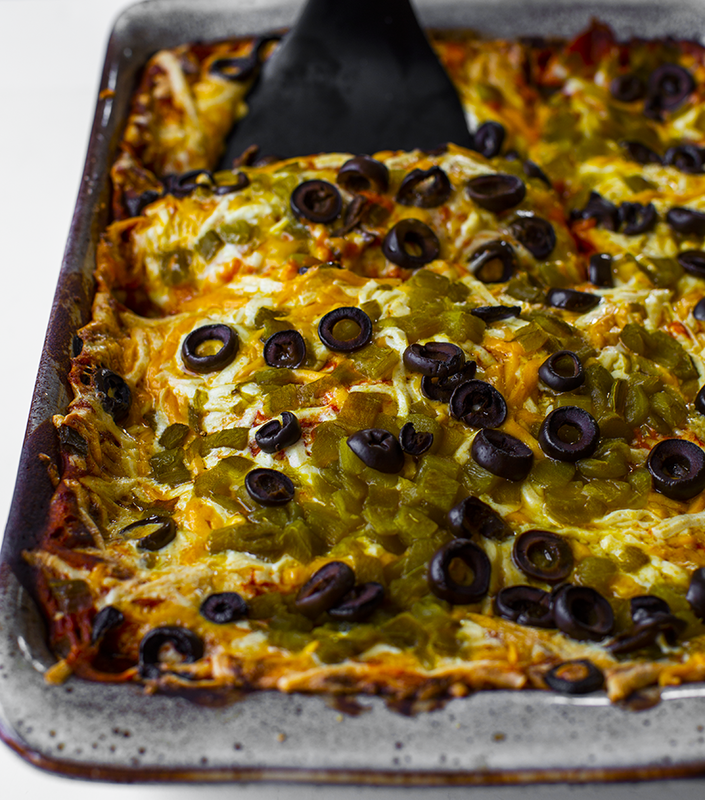 These are even better served the next day in my opinion because ll the flavors really marinate and reduce! Enjoy. So I hope this recipe provides you a fast and flavorful meal! Have a good week everyone!